Our mission at Dollars & Cents is to offer our Customers a wide selection of quality products at competitive pricing, in a comfortable and enjoyable shopping environment, along with friendly, helpful service. Dollars & Cents is a family owned Canadian business. 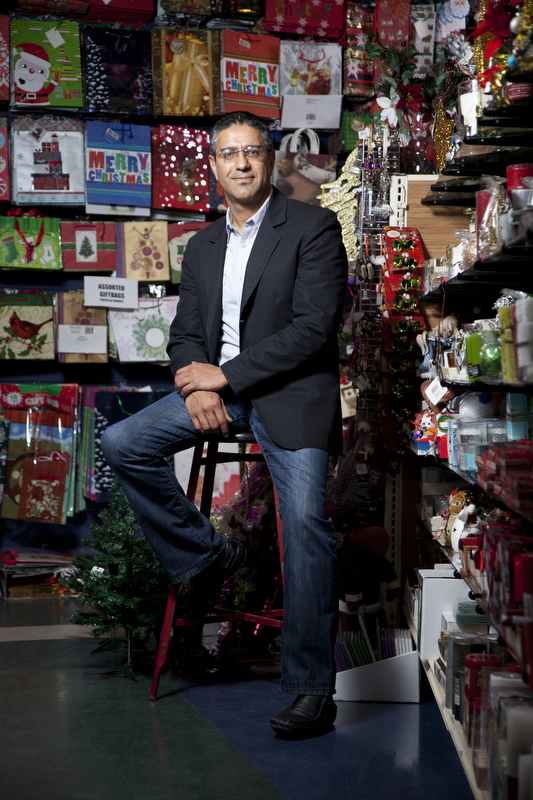 In the early 90’s Salim Dhanani, helped a friend open up the first “Dollars & Cents” store. As years have gone by, although there have been changes in the business, the mission has remained the same; to bring quality products to the marketplace, at great prices, with friendly and helpful service. We try to keep it simple. Dollars & Cents offers many different products that consumers need and want in their everyday lives, at reasonable prices, with outstanding service. Although we stock thousands of typical “dollar-store-type” items at $1.25 or less, we don’t limit our product selection based on price-point alone. We don’t want to be another dollar store. Instead, we strive to offer much, much more … from custom Helium Balloon bouquets to Gift Journals and beautiful Glass-Deco Vases, to Craft Supplies and Houseware items that we all need! We carry brand named goods which you recognize & trust, while stocking other value brands which will save you money, without compromising quality. You might be surprised at what you’ll find in our stores! When shopping at our retail locations, you can expect to be greeted with a smile, then feel comfortable shopping in well-lit, clean and well merchandised retail spaces. Our friendly staff will gladly help you find products, then work efficiently and carefully to complete your transaction at our check-outs. We’ve always accepted various forms of payment for your convenience, including: Cash, Debit, Visa, Mastercard and our own Dollars & Cents Gift Cards – which are a great gift idea, in any denomination!. Our company motto is: “Value – Selection – Service”. Our pursuit to excel at these simple business goals, along with a great team of floor staff and managers working together, have made our retail stores one of the top small businesses in the communities we are located. We have consistently been in the Tri-Cities “A-List”.